Catering for residential retreats is an absolute love of mine. Having participated on many retreats myself, I have a complete understanding of how important food is to people on retreat. All produce used is organic and where possible locally sourced. The finest quality ingredients are purchased from farmers in the Byron Bay area who really care about what they are growing. • Provide protein-rich meals – where even the biggest of meat eaters will feel satisfied. • Provide complete proteins – ensuring you get all nine essential amino acids with each and every meal. 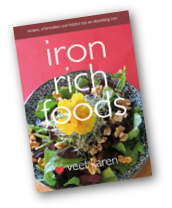 • Provide adequate levels of iron in meals – combining iron rich foods with ingredients that assist in the absorbing of iron. • Ensuring complete deliciousness at all times – where food is not only wholesome but the taste is equally as vital, using ingredients that have no added preservatives or colours etc. In addition to these principles participant’s individual needs are always taken into consideration and all dietary requirements are catered for. I am gluten intolerant myself so have a huge repertoire of gluten free meals and desserts. I can cater for people who have allergies and for those who want Ayurvedic, macrobiotic or raw food cuisine. Any dietary requirement can be catered for as long as it is plant based. Retreat menus are tailored to suit the needs of the particular retreat and I work with the retreat organiser to plan the perfect menus for their retreat. Meal sizes are abundant, I myself love to go back for seconds and this is always available for those who share this love of mine. I can cater for retreats of 14 people and up to 80 people or more. I have a blog post that you are welcome to share with people booked into your retreats to help them prepare for a healthy vegan cuisine when on retreat. Vegetarian catering on retreats. These are just ideas and all meals can be arranged to suit your individual retreats dietary needs. From high energy food, to lighter meals in the evening, Ayurvedic cuisine, raw food or whatever other ideas you have that will enhance your particular retreat. Menu choices also depend on what is seasonally available as most of the produce sourced comes from local farmers markets. Salads depend on what is in season at the time of your retreat. They will often contain a protein if there is none in the main meal. Below are a few of the many salad ideas. All desserts are gluten free and vegan with sugar free options. $27.50 per person per day including all day teas, milks, honey etc. As of 2015 the government has asked me to collect 10% gst. Apologies for this but it is beyond my control. We love catering away, out of the Byron Bay area. It is wonderful to see what other areas have to offer in the way of fresh produce as well as to bring the Byron Shire’s finest to you. Our local sourdough bread is one of the best in the country as are our locally rain fed rice, macadamias and pecan nuts. $28.6 per person per day including all day teas, milks, organic sweeteners etc. All travel expenses and accomodation will need to be covered by the retreat organisers. Thank you Veet for the most love filled and soulful food I have eaten to date! You are a truly gifted woman with a heart of gold. I love your food and it is a joy to have your magic in my mouth and the support you give the group with your love filled offerings only enhances the work we do. What a weekend we had of magnificent wholesome food prepared by a very passionate beautiful person that loves her cooking and food. 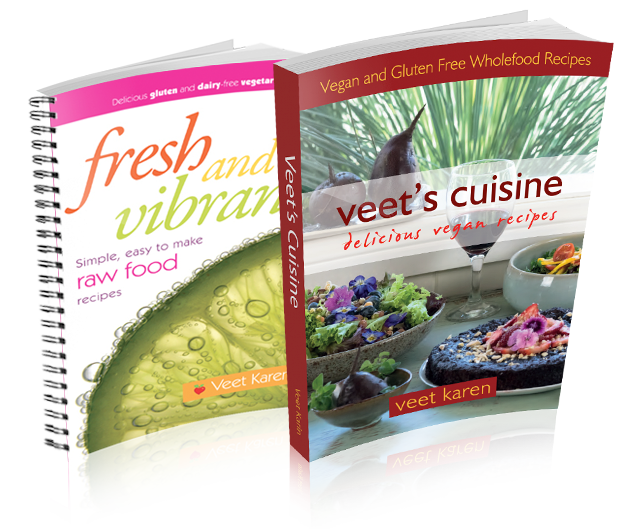 Veet cooks exquisite, tasty vegetarian food with mindful attention to detail, careful though for your health and blessings straight from her heart. You can taste her spirit in every meal she cooks and serves with a beautiful smile on her face.